When it comes to retirement saving, a 401(k) is often considered the gold standard. 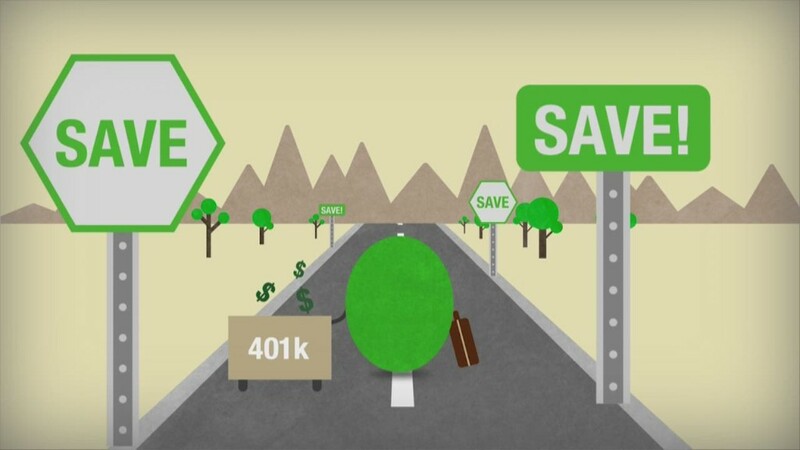 A 401(k) certainly makes saving easier. The money is taken directly from your paycheck, before you get a chance to spend it elsewhere. Making contributions lowers your taxes, and some employers even match the amount you save. But a third of private sector employees don't have access to a workplace retirement plan. Plus, about 15 million Americans are self-employed. The good news is that there are other accounts you can open yourself that offer similar benefits. For some self-employed people, the benefits can be even better than a traditional 401(k) plan's. "Most self-employed people totally forget to set these up and don't fund them. So they end up paying too much in tax and not having enough saved for retirement," said Mari Adam, a certified financial planner and president of Adam Financial Associates. There are several types of IRAs that might be available to you, as well as an Individual 401(k). They vary by the amount you can save each year and when you'll see tax benefits. Eligibility requirements vary, too, based largely on what kind of income you earn. Maybe your employer doesn't offer retirement accounts like 401(k)s. Or maybe there is a workplace plan, but you haven't worked there long enough to be eligible. If that's the case — and you don't have any freelance income — you're left with two options: a Traditional or Roth IRA. They both allow your money to grow tax-free. If you choose a Traditional IRA, you might be able to deduct your contributions and lower your tax bill. But you can't touch your money until age 59 ½ without getting hit with a penalty. Contributions to Roth IRAs are not tax deductible, but you can withdraw the money in retirement tax free. Plus you can access the money you put in (not your investment gains) at any time, without penalty. Compared to other retirement accounts, Traditional and Roth IRAs have low contribution limits. Both currently allow you to save up to $5,500 annually (or up to $6,500 if you're 50 or older). Even if you contribute the max each year, you probably won't have enough to fund a comfortable retirement without saving elsewhere. "To save extra money, the best thing is to use a plain old brokerage account," said Adam. You won't get a tax deduction, but you'll be able to access your money at any time to use for any reason. Earning some kind of self-employment income opens up more options for you. The Individual 401(k), also known as a Solo 401(k), is available to anyone who works for themselves and does not have employees. It works for business owners as well as people with side hustles. There's going to be more paperwork to open an Individual 401(k) than a Traditional or Roth IRA, but Adam says it's free and easy to set up. Once you have freelance income, you are also eligible for a SEP IRA — which is a little less complex. Contributions are tax deductible, but limited to 25% of your income if running a business or 20% of your income if self-employed. So it might not make sense if you have a small side gig. If you're earning less than $22,000 in self-employment income, you probably won't be able to contribute any more to a SEP IRA than you would for a Traditional or Roth. An online calculator like this one can help you decide what account allows you the biggest contribution, based on your earnings. You cannot open an Individual 401(k) if you have employees. Instead, Adam suggests using a Simple IRA. It requires you, as the business owner, to offer up to a 3% match to participating employees every year. You can't skip contributing some years, like you can with the other accounts. But in return, you can contribute up to $12,500 a year (more if age 50 and older) and deduct it from your taxes. There might be a small fee to administer a Simple IRA. If that's too much for you to take on, you can still open a SEP IRA. But be aware that if you contribute for yourself, you must also contribute for your employees. An employer must contribute the same percentage of compensation for every worker.